Production on Baz Luhrmann’s ambitious 3D adaptation of The Great Gatsby is currently underway in Australia, and today we’ve got our first look at official images from the film. 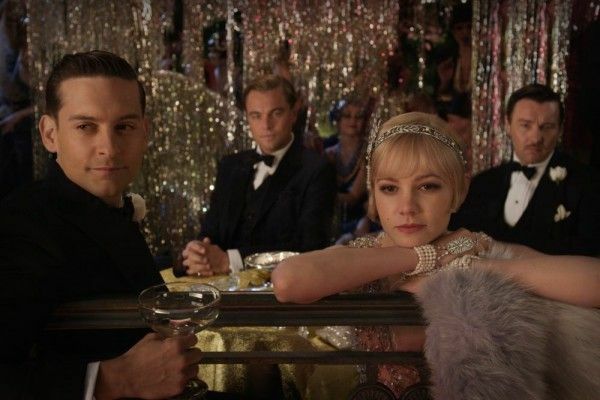 We’ve seen a number of set photos featuring the cast all done up in their dapper Gatsby costumes, but these images give us our first official glimpse at stars Leonardo DiCaprio, Carey Mulligan, Tobey Maguire, and Joel Edgerton. Everything we’ve seen from this adaptation so far has been pretty fantastic, and these images are no exception (everyone’s just so damn attractive). Hopefully we’ll get to see a trailer sometime soon to get a better idea of what Luhrmann has in store. Hit the jump to check out the images. DiCaprio plays Gatsby, Mulligan plays Dasiy, Maguire is our narrator Nick Carraway, and Edgerton takes on mega-douche Tom Buchanan. The Great Gatsby opens in 3D on December 25th, 2012.